Mr. Ralph has passed away. This great man will be missed by MANY. If you have a story about meeting or spending time with Mr. Ralph, post it below. I spent time with him at lots of industry events over the years. He was always happy to talk about boats and share Correct Craft history. Here's my last picture with him, taken a couple of years ago at the factory. Sorry to hear the news! 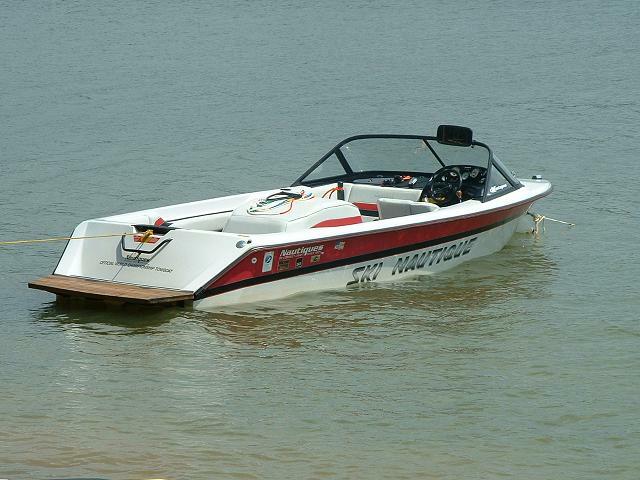 I met him in 2002 while helping Mid-Ohio Nautique get started up. Ralph was a great guy. I couldn't believe it, but he was still hauling boats around long distances. But most of all, he was a sincere and wonderful man! RIP. Mr Ralph was a class act. What a great guy. I remember meeting him when I was a teenager. Great guy. I met him in 2007. He looked like and had the same endearing mannerisms as my own grandfather of similar age. Yes, he was happy to talk about boats, but way more excited to give his testimony of salvation including the little paper handouts he carried and eagerly handed out from his shirt pockets. Nautiques ultimately became just a shoehorn for him to talk about his True Love: The Lord Jesus Christ..... Well done, Ralph. Well done.